We had a wonderful 4 nights at The Highland Club. The facilities were fantastic and there was always something to do no matter what the weather was doing so my kids were never bored. There’s a lovely 50 minute boat cruise around Loch Ness which we enjoyed and the Boatshed bistro is convenient for dinner. The apartment is spacious and has everything a family of 5 needs including board games and rackets for tennis, ping pong and badminton. The staff are friendly and helpful. All around an excellent place to stay - highly recommend ! Our apartment was beautiful! The building itself is absolutely stunning and there is a lot to keep you entertained. Our view overlooked the large chessboard and old hallways which was lovely. Upon arrival we were greeted by the management team and given a tour of the building with some historic information. The only negative things I would say about this apartment is that the single beds creak a lot so the people in that room didn't get much sleep when one of them turned in the night and the en-suite shower is quite small - none of these things would stop me from going again though. We enjoyed our stay. Lovely apartment . Used the swimming pool . Perfect location , managed to see many places . We had a fab stay. The apartment is huge and comfy. The facilities at the club are superb. An excellent spot to visit the Highlands. This was the second time we had stayed at the Highland Club, but the first time in Talisker. The whole family loved it! It is such a beautiful location and the flat was spacious and comfortable, with amazing features from the building’s time as an abbey. We would love to go back soon! An excellent 4 nights stay at the Highland Club. Myself and a few pals stayed in the Old School (Talisker) which didn't fall short on any of its promises. 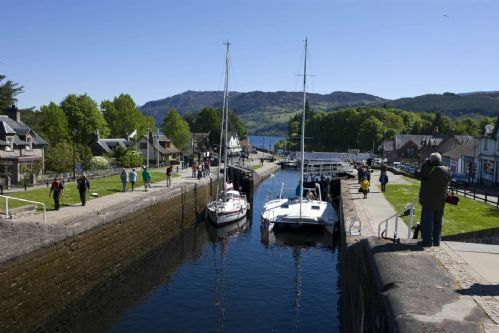 Plenty to do in the area on a short trip - hiking, cycling, golf, fishing, full sized snooker, tennis and giant chess - Fort Augustus has it all. Locals were very friendly and gave us great discounts. There were a couple of great pubs nearby with hearty food and fresh beer. The scenery on the hike around the Loch was phenomal. Worth a trip in itself. Great apartment and helpful staff. We look forward to returning. Great apartment and great location. The building is interesting with good facilities and we thoroughly enjoyed our stay. We look forward to returning. 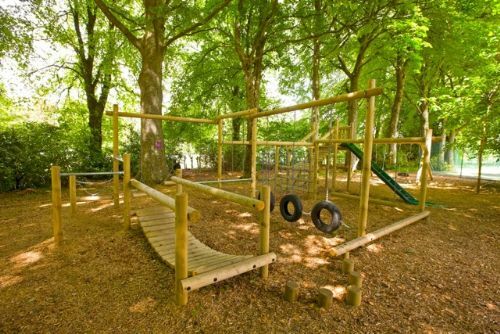 We had a lovely time - the setting of the Abbey on the Loch is lovely, Fort Augustus is a charming town and it was great to be able to walk everywhere, and our kids loved the playground at the Abbey. The apartment itself was nice - kitchen had everything. The couches need to be replaced and one was not the same as shown in the majority of the photos in line. After we arrived and I compared, there was one photo where you could see a corner of the couch (black material) but the majority of the photos and indeed any photos focusing on the couches and sitting areas showed two brown leather sofas. The Club emailed us directions on how to get in and advising that we would need to confirm our arrival prior to arriving. However this information didn't reach us in time as it wasn't sent at the time or close to the time of our booking, and we did a road trip in Scotland prior to arriving at the Highland Club whereby we had very little access to internet or even cell coverage. Because of that, the club was not aware of our arrival and it was just by chance that we found someone who could give us keys etc. Also because of that, the apartment was not recently cleaned in preparation for our arrival. It was mostly clean, but we ended up having to vacuum the floors from the get-go, so not a relaxing way to start our last few days of vacation and what was intended to be a bit of R&R time. Overall the experience was fine, but considering the state of the couches we found this particular suite to be overpriced. First time visit but will definitely be returning. Excellent high standard accommodation. Cannot fault anything. Disappointed that the leisure pool was closed but plenty of other activities to make the stay enjoyable. En famille dans ce très bel appartement tout confort, nous avons passé un super sèjour. Confort, silence et repos au bout du lock mais sans voir le Nessi malheureusement. Die Unterkunft war fantastisch. Alles sauber und direkter Zugang zum See. Wir kommen gerne wieder. Fort Augustus ist ein kleiner Ort aber man kann mit einem Mietwagen alles problemlos erreichen. In der Gegend kann man schön wandern gehen und alte Burgen anschauen. We had a wonderful stay in the Talisker apartment. Stunning location and unusual, atmospheric accommodation. We loved the walks, local pubs, boat trip, tennis courts, giant chess set, grounds leading right to the banks of the loch and the extraordinary building itself with its fascinating history. It was a very special trip. We loved staying at Talisker. The apartment had everything we needed and was warm, clean and modern. The location on the banks of Loch Ness was ideal too. we had a lovely, comfortable stay in a castle on the shore of the lake. unforgettable feelings. We had a lovely, comfortable stay in a castle on the shore of the lake. unforgettable feelings.Nice town, very good service in the Highland Club. We are very pleased!!! Myself, toddler and some friends stayed here for a long weekend and it was brilliant! The apartment was huge and spacious, more than enough room for everyone. The beds were incredibly comfortable and the place was spotless! We were shown to our apartment and given a wee tour around the place. There were biscuits, tea and milk etc which was great, SKY and wifi - everything was perfect. I would definitely recommend this place and we are tempted to book again. Excellent location, accommodation and facility. Excellent location, accommodation and facility. Directly on Loch Ness. Our flight was delayed and we arrived around 4hrs late (late evening). We were still welcomed and given an informative tour of the whole facility. unique setting in beautiful old monastery converted into individual and unusual flats. Sadly the leisure complex was out of action due to a fire and would have been the icing on the cake. Great location, great buildings, great apartment. We loved the place and the location. Lived in Tallisker - The Old school , and there was plenty of place for 6 people. Beautiful setting and building, great facilities. Minor problems a - pot had food left in it and hadn't been cleaned, central heating and hot water wasn't working, luckily the weather was warm and there was a back-up immersion for hot water. They did bring up 2 convector heaters in-case it got cold, and a bottle of champagne. But we had a very enjoyable stay. 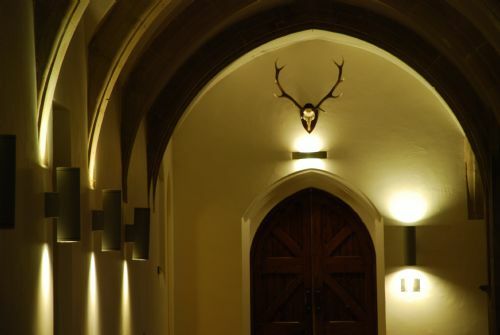 We had a very memorable stay in a truly unique Benedictine Monastery on the banks of Loch Ness. Great location. Great building. Comfortable. Spaciousness. Clean. Should have stayed longer. Will do next time. The shop in the village had everything we needed. The restaurant on the premises had very good food. The swimming pool was a big advantage for the kids. Snooker table was fun. We enjoyed our visit - stayed only one night. For the future, It would be good to note on the website what floor accommodations are located AND whether or not there is an elevator. I was traveling with 4 people over the age of eighty for whom 3 flights of stairs with luggage was a bit of a challenge. Amazing use of an abbay, despite a cold atmosphère, the Talisker suite was very nice and cocoon. Our stay at the edge of the Loch Ness was astonishing. Boathouse restaurant gives us a perfect taste on Loch Ness landscape. The pool is wonderful. Hoping the next guests will enjoy the smoked salmon we forgot in the fridge!